Over recent years, it has become clear that group-based approaches cannot directly be used to understand individual adolescent development. For that reason, interest in dynamic systems theory, or DST, has increased rapidly. Psychosocial Development in Adolescence: Insights from the Dynamic Systems Approach covers state-of-the-art insights into adolescent development that have resulted from adopting a dynamic systems approach. 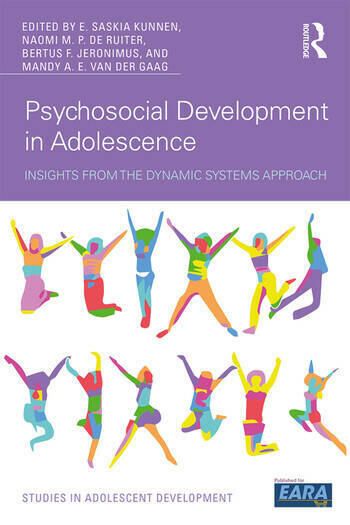 The first chapter of the book provides a basic introduction into dynamic systems principles and explains their consequences for the study of psychosocial development in adolescence. Subsequently, different experts discuss why and how we should apply a dynamic systems approach to the study of the adolescent transition period and psychological interventions. Various examples of the application of a dynamic systems approach are showcased, ranging from basic to more advanced techniques, as well as the insights they have generated. These applications cover a variety of fundamental topics in adolescent development, ranging from the development of identity, morality, sexuality, and peer networks, to more applied topics such as psychological interventions, educational dropout, and talent development. This book will be invaluable to both beginner and expert-level students and researchers interested in a dynamic systems approach and in the insights that it has yielded for adolescent development. E. Saskia Kunnen is an Associate Professor of Developmental Psychology at the University of Groningen. Naomi M.P. de Ruiter is an Assistant Professor of Social Sciences at the University College Groningen within the University of Groningen. Bertus F. Jeronimus is an Assistant Professor of Developmental Psychology at the University of Groningen. Mandy A.E. van der Gaag is a Postdoctoral Researcher of Developmental Psychology at the University of Groningen.